Avocados. If ever a food deserved the slogan “tastes great and less filling,” this is it. Yes, an avocado contains fat, but it is a healthy fat – it is low in saturated fat and free of cholesterol and sodium. Please pass the guacamole. Berberine. 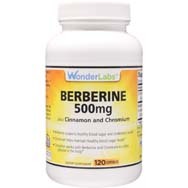 If there is a category for “super supplements” (just like there is for “superfoods”), berberine belongs in it. Found in a variety of plants to include European barberry and Oregon grape, it’s best known for helping to regulate blood-sugar and cholesterol levels. Cauliflower. It’s hard to go wrong with any vegetable, but cauliflower gets a shout-out because it is packed with vitamin C, protein, fiber, potassium, magnesium, and a host of other compounds that make it one of this planet’s healthiest foods. Vitamin D. Sourced mostly from the sun’s rays, vitamin D promotes calcium absorption in the gut and is vital for healthy bones. Echinacea. Used for centuries as a treatment for wounds and infections, and as a general cure-all. It’s popular today for helping to boost the immune system, perhaps as an extra layer of protection against colds. Flaxseed. This powerful plant food has been shown to reduce the risk of heart disease, stroke, and diabetes. Ginger. A terrific all-around compound, ginger is a delicious addition to various foods and drinks. 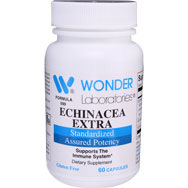 It performs double duty dealing with digestive issues such as nausea, loss of appetite and motion sickness. Horny goat weed. Its name is pretty much self-explanatory, as it’s known to benefit libido. It also helps with bone health. Iron. Iron is essential for the body’s proper growth and development. It plays a key role in producing red blood cells, which is why fatigue is closely associated with an iron deficiency. Jalapeno peppers. 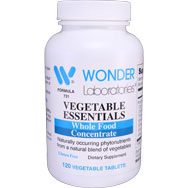 These hot veggies are loaded with capsaicin, which is believed to speed up metabolism while curbing appetite. Great for the weight-conscious, but keep plenty of drinking water nearby. Kale. Green, leafy vegetables rank high on many health food lists, and kale might be the king. It is loaded with nutrients and can help knock down high blood pressure and reduce the risk of developing asthma. Lentils. Lentils are gluten-free and high in fiber, protein, and complex carbohydrates, while low in fat and calories. Too good to be true? Not at all. If you are diabetic, lentils belong on your diet plan. Magnesium. 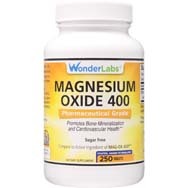 Per webmd.com, magnesium is a crucial electrolyte involved in the proper functioning of our muscles, nerves, and enzymes. Got tremors, muscle cramps, weakness, anxiety and/or nausea? You might be low on magnesium. Niacin. Also known as vitamin B3, niacin – short for nicotinic acid vitamin – is one of eight B-complex vitamins known to benefit the digestive system, skin, and nervous system. In other words, it covers a lot of ground. Oatmeal. A breakfast food fave and supplier of ample whole grains and fiber, it has been singled out for helping to lower cholesterol, aid in digestion, and enhance metabolism. Probiotics. Maybe the thought of spoon feeding billions of bacteria into your mouth will make your stomach turn, or worse, but it shouldn’t. 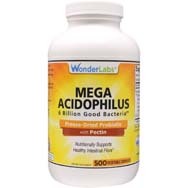 Probiotics are live “good bacteria” and yeasts that benefit our health, especially our digestive system. Quinoa. One of the few grains or seeds food that contains the nine essential amino acids not manufactured by our bodies. Resveratrol. Resveratrol comes from the skin of red grapes and belongs to a group of compounds known as polyphenols. They act as antioxidants, presumably protecting our bodies from damage that could lead to heart disease. St. John’s Wort. Not to be confused with warts and toads. Used for centuries in folk medicine remedies, St. John’s Wort is most commonly used to treat mild to moderate cases of depression linked to anxiety, tiredness, loss of appetite and sleep issues. Turmeric. This is the main spice found in curry, often used for Asian cuisine. 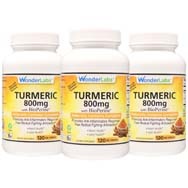 Turmeric’s main ingredient is curcumin, useful for treating arthritis, jaundice, irritable bowel syndrome and high cholesterol, among other afflictions. Uva Ursi (Formula K-U). This plant-based compound – loved by bears, by the way – is mostly used for urinary tract disorders. Valerin. The key ingredient is valerian root, which has been used for centuries as a sedative to help treat insomnia and anxiety. It might also relieve symptoms such as those associated with muscle tension, low back pain, leg cramps, arthritis, and PMS menstrual cramps. Walnuts. Nuts, in general, are loaded with fat and calories, but they also are packed with protein, fiber, and antioxidants. They may also lower cholesterol. Alfa Ten X. This fresh green alfalfa extract is a key ingredient for a supplement that offers nutritional support for inflammation and digestion. Yogurt. Greek yogurt, especially, is known as a great source of probiotics, mentioned earlier in this list. Zinc. This essential trace element is used in the treatment for a variety of nasty conditions, including diaper rash, ulcers, ADHD, and sickle cell anemia. It’s best known for its ability to bolster our immune system, especially when it comes to staving off colds.